El Paso High School overlooks Jones Stadium. 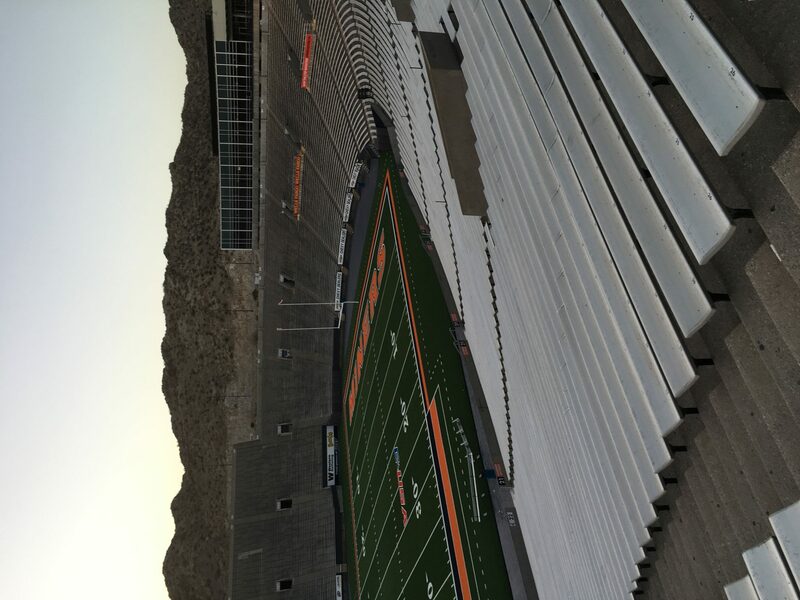 Jones Stadium on the campus of El Paso High School (Texas) is a throwback to a bygone era. The concrete stadium was built in 1916 with a seating capacity of 12,000. The cost of construction was $500,000. Jones Stadium allows fans a great view of downtown El Paso. 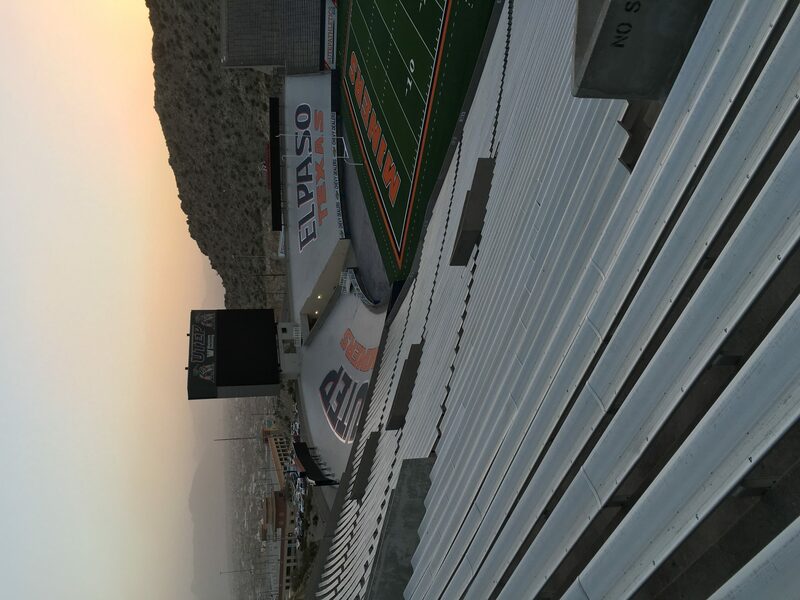 Jones Stadium offers a great view of Juarez, Mexico. El Paso High School, named “The Lady on the Hill”, offers great views of El Paso and city of Ciudad Juarez, across the Mexico border. 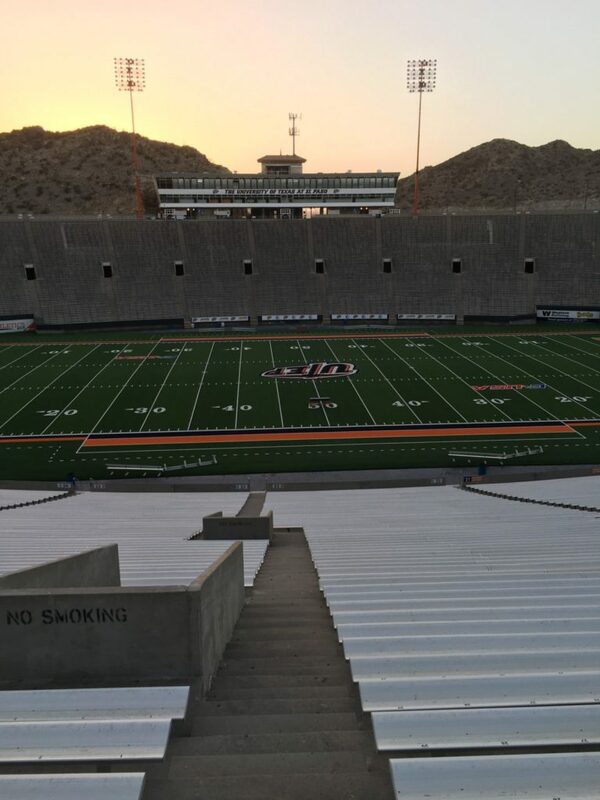 Jones Stadium served as the host to the first three Sun Bowl from 1935 through 1937. Interestingly, the first Sun Bowl in 1935 didn’t feature college football teams. Instead, an all-star high school football team from El Paso played Ranger High School (Texas). The all-stars won 25-21. In 1936, New Mexico State played Hardin-Simmons in the first Sun Bowl between college football teams.